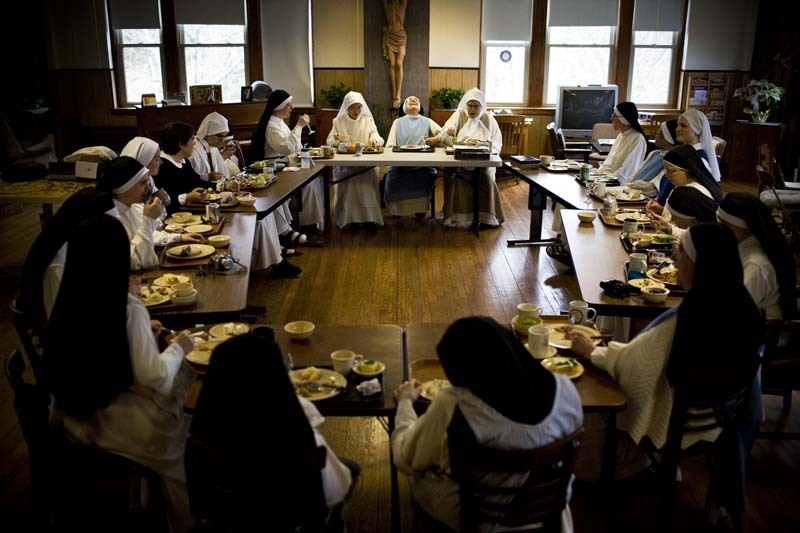 The nuns host a celebratory dinner in honor of 71-year-old Sister Maria of the Cross (center, back), for her Golden Jubilee, which honors the 50-year anniversary of her life in the monastery. Community is an important part of monastic life. Monastery of Our Lady of the Rosary is home to 21 nuns ranging in age from 21 to 92 years.